It has only been a matter of days since we last saw this card! The 10 of Wands is not one of those cards that people eagerly await as it deals with burdens, responsibilities and oppression. But yet, here we are again. The last time we saw this card was on June 24, and we discussed having that bear-skin rug by October. This particular depiction is one of the most creative interpretations I have ever seen. 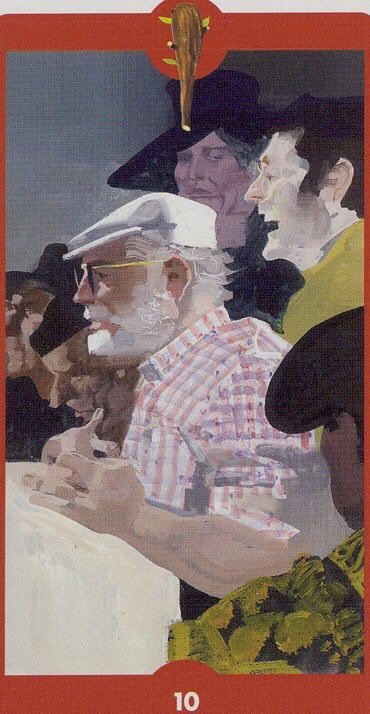 So, let’s talk about this card and why the artist is showing us a group of people sitting on bleachers, seemingly at a sporting event of some sort, but more so the type where there is an activity taking place they should not be watching, such as dog fighting, etc. However, the object of everyone’s attention in this card is you! You have been in survival mode for so long and just like our last visit with this card and our man fighting off the bear, these onlookers are watching you fighting off that which has been holding you down. To me, this truly does not seem fair, but in typical 10 of Wands fashion, there never seems to be anyone coming to your rescue and you are going it alone, and that is how it shall remain. You are almost there. Perhaps we can take some comfort in the fact that others, while they are not chipping in to help, are taking notice to how you continue to rise up and keep on going no matter how heavy the burden or difficult the struggle. Remember, you will soon be done with this part and be able to put down that load you have been carrying for so long. This entry was posted in Card of the Day, General Tarot, Readings, YouTube Videos and tagged 10 of Wands, Burden, Card of the Day, Guidance, Path, Reading, Responsibility, Tarot. Another spectacular card! Two days in a row; I am ecstatic. This is a card of Divine Intervention from the Universe, to me another wish card, if you will. If we put this together with yesterday’s Star card, it feel as though the month is ending on such a pleasant note. We can all dream, right? Now, mind you, Mars is now direct and that alone is a gift in and of itself. This has been a difficult two and a half months, which I equate to riding a stationary bike; and now it is like being able to ride a real bike and slowly build some momentum into your forward movement. Positivity abounds here, and in four days we have a New Moon in her home sign of Cancer. What are your wishes, hopes and dreams? Have those intentions ready, as for the next five to six weeks, the Universe will be working well with you to achieve them. I hope you all hit the lottery or receive that awesome job offer for which you have been waiting. Strap yourself in, July is coming! 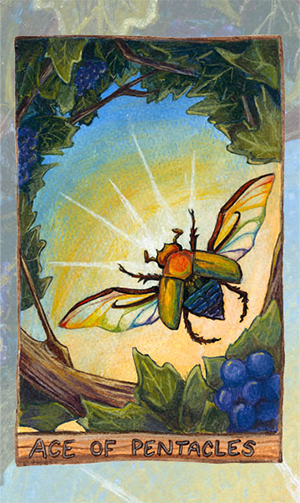 This entry was posted in Card of the Day, General Tarot. After being retrograde for two and a half months, Mars returns to direct orbit today. The Star card feels very appropriate for the occasion. It is a symbol of hope, faith and renewal, and, indeed you may feel your faith in the Universe begin to renew. There are special blessings mixed in here for you, so remember to take note of them, no matter how big or how small. Optimism may very well become the order of, not just today, but the next six weeks, as you feel like ‘The Little Engine that Could’. Just think of your stalled self and projects as a train ready to go forward now; it will take a bit to pick up steam, but with each passing day, you shall see yourself doing just that as you progress forward. Just remember to remain optimistic and keep saying, “I think I can! I think I can!”. Truly, the stars are beginning to align in your favor. This entry was posted in Card of the Day, General Tarot, Readings, YouTube Videos and tagged Card of the Day, Guidance, Hope, Path, Reading, Renewal, Star, Tarot. 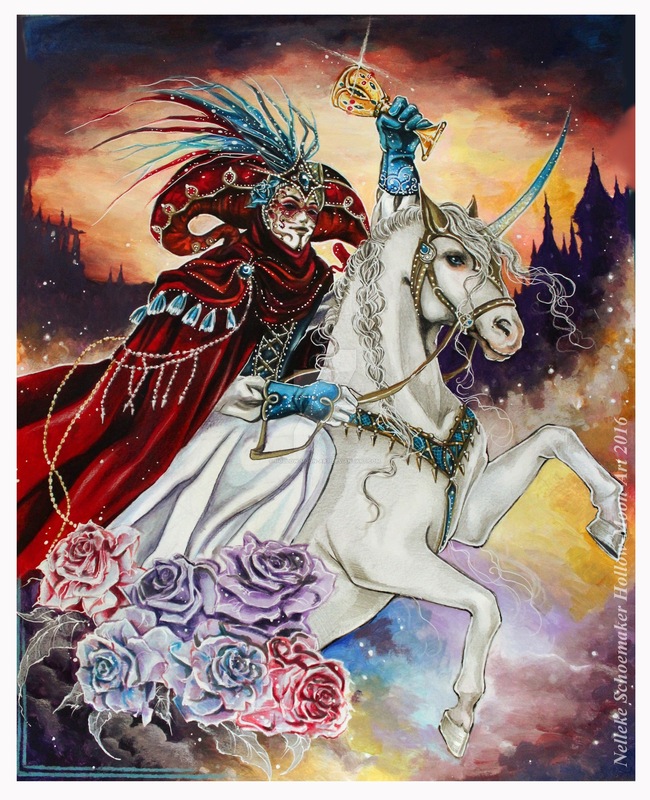 This card comes to us from the unique and intriguing, carnival-themed deck, 78 Carnival Tarot. This is beautiful; our Knight of Cups is on his way, and he is carrying something very special in the emotional realm. It may take him a little longer than hoped to arrive, but he will. This is the proverbial Knight in Shining Armor, the Bringer of Romance, and also of special offers and proposals not necessarily of a romantic nature. However, most do seem to prefer the romantic notion that, somewhere out there, love is finding its way to you. This Knight is also a seeker, and you may very well be looking for something which will fulfill you. Bear in mind, that something going on which is not even on your radar, may very well be creating situations which will arrive on your doorstep, or crossing your path, before you know it. Likely around the middle of September, or so, you will be noticing the changes. Do check out this deck, clicking on the deck name; it is the third in a series, and I am certain you will find the artwork amazing. This entry was posted in Card of the Day, General Tarot, Readings, YouTube Videos and tagged Card of the Day, Guidance, Knight of Cups, Path, Reading, Romance, Tarot. Today we have the beautiful Queen of Cups from Tarot Apokalypsis. The timing of this card is perfect with all of the Cancer energy around this week.This is our emotionally balanced Queen, and she is an individual with an extremely generous nature, always giving of herself to others. Similar to our King of Cups, for whom I always say, “Never let them see you sweat!”, she is that go-to person when times are hard, as she can help you see your way through a crisis. 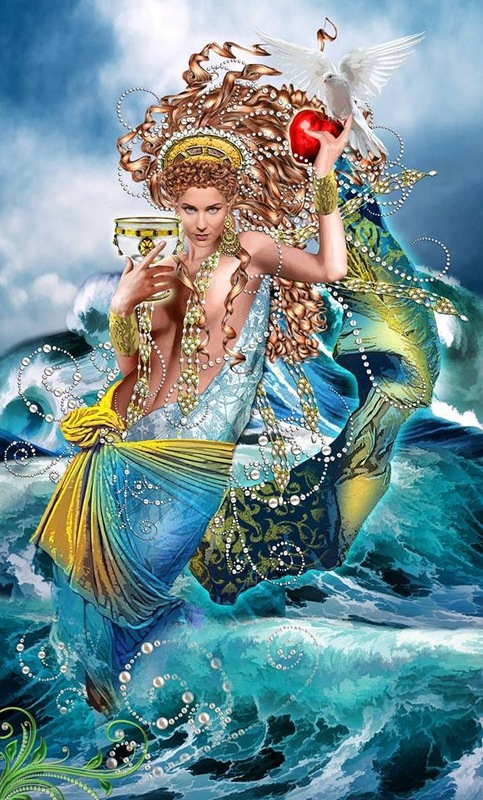 This is a card representing water and emotion, so seeing her while the Sun is in Cancer is no surprise. 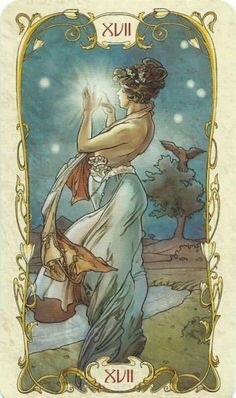 You may find your intuition is running at a peak high today, as this Queen has those abilities and can pick up on things others may not notice. I am coming out with a caution here, for that opposite energy, beware of the person who sheds tears for attention and does things with a dramatic flair, for the reverse of the Queen of Cups is indeed the Drama Queen. With Mars now direct in Scorpio, there is a restless mental energy to go forth and attack all obstacles with a vengeance. As you see stalled projects and plans regain momentum, you will notice some things finally coming to fruition and you may now launch any new endeavors you have been configuring over the last three months. There is a renewed sense of commitment, perhaps even a renewal of certain relationships which had been on the back burner while you tried to figure out your life. Successes are possible at this time, and the excitement for achieving them appears to build by the day, but the true reason for celebration does not appear to arrive until about the third week in September. This is an interesting cycle in your timeline, and not one you will soon forget. The month begins with the Sun, Venus and Mercury in Cancer, and a New Moon in Cancer on July 4, so do expect emotions to come into play. Try to remain mindful of the facts as you gather all of the details and attempt to get to the truth of the matter. This is the time, in July, for hammering out the specifics of putting your life in order, if you truly wish to take back your power. You are being guided by the Universe to take care of the issues which have created lack and difficulty in your corner of the world. There may be many things to figure out along the way, but with each day you move closer to the light at the end of the tunnel for that big issue which has haunted you for so long. Preparations are being made to move on for good. You still seem uncertain about exactly where you are going from here, but manage to remain in awe of the Universe. July is a month filled with news, information and the removal of delays; you are creating the change you need, and may finally feel as though there is a more firm footing beneath your feet. Pay close attention as there are many opportunities which can find their way to you at a moments notice. Enjoy the calm amidst all of the rapid changes, as a storm is brewing in the background to bring in some major changes around mid-September. Divine Intervention and increased intuition help you firmly plant yourself where you need to be. Positivity abounds if you let it and you feel more confident in your changes as the month and season progress. Your focus has taken on a more positive outlook and you can finally come to the realization that while it has been a long, hard road, you will make it. This is your month to break out, Aries, whether you manage to do it on your own, or the Universe forces you to abandon all of your bad habits. However it happens, it will bring some long-awaited changes and success to which you must apply practicality. Remain grounded as you may feel as though you have been let go by a slingshot. A fresh start is possible in a certain area of your life, but with a caution not to do anything foolish; consult legitimate counsel and seek proper guidance for direction. All of this motion will bring you to an important crossroads and you will need to give careful consideration to what works for you and what does not. While change will definitely be the order of the month, take care that none of it is hasty and reckless. Taurus, as the month opens, your fears still haunt you and confusion reigns, especially in the area of stability. You are feeling held back and at a standstill, and likely concerned that the provision of your stability could at any time turn to a slippery slope. It will not stay this way the entire month; you will see many relationship aspects and choices come into play. There will also be a possible increase in your financial picture enabling you to feel as though you could begin to take control once again. There is a reminder late month of something, or someone, in your life which has moved on, but now is the time to put in the work to ensure any financial increase works in your favor for the long term. Patience is required for those Geminis who wish to retire; it may soon be possible to complete the cycle. 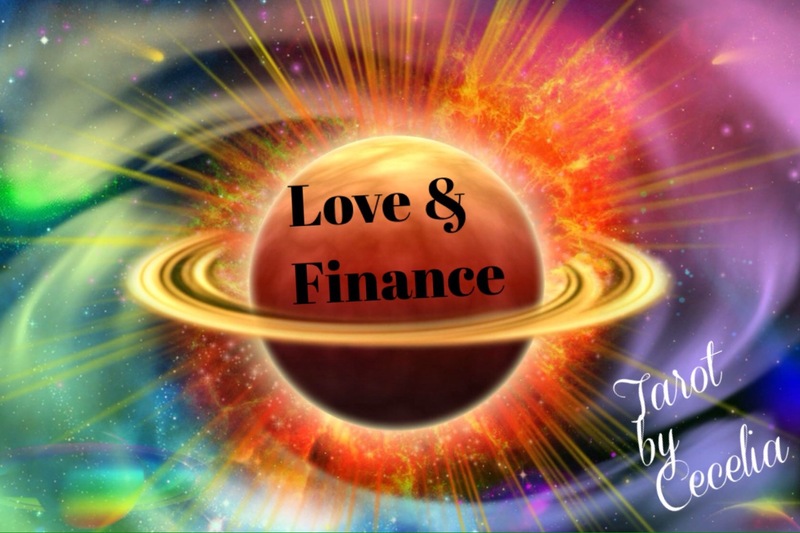 As for all Geminis, if there has been restriction in the area of finances and financial opportunities, there will finally be the possibility to manifest the job or opportunity needed. Doors will begin to open, but with patience attached, which is probably a good indicator that it could take more than a matter of days to see anything wind up in your bank account. If you are dissatisfied with where you are headed, it may be time to learn a few new tricks. It always pays to be up to date with the latest technology, etc. going on in the world. You are at your best when the Sun is in your sign, Cancer. The whole world appears brighter to you, and you love nothing more than fun and a good party, especially with those you love. Your vision for your life is a creative one and change will find you, like it or not, prying you out of your shell. It is all for the good, so keep that in mind. It has been a long haul, but success and recognition from your peers provides you with a more stable base, enabling you to move on and feel as though you are resuming control of your life. You are on the road to abundance and will soon see projects coming to fruition. Leo, everyone wants love, and you are no exception, but you are currently your own worst enemy in affairs of the heart. Whether it is your pride, or merely a refusal to budge, you can not keep living in the past and allowing it to control you. It is time to close the door. Your hope is renewed for future endeavors, and after about 10 months of feeling totally UGH!, you are ready to face some stark realities and begin putting your life back on track. The Sun is not in its best placement for you until later in the month, so you may find yourself reviewing your life in the first three weeks and taking a good look at why things are the way they are. What an interesting month July is for you, Virgo. Both the New and Full Moons figure prominently for you, and you will find yourself making important decisions at these times, based on how you wish to lead your life. You can achieve success around home and family, but at the same time find yourself wondering if someone is putting up a smokescreen. Do not accept everything which comes your way at face value. It is time to mix things up, and you may find yourself seeking new ways to create change in your life. The commute involved in this little adventure may take you from dry land to water and back. Love is around if you allow it in your environment. The phrase, “Can we stay like this forever?”, comes to mind. If you find good love, hold on tight. The difficulties do not quite appear to be over, Libra, but you can begin to make progress in July. For every time life has knocked you down, you have stood back up and continued on your journey with great determination. An opportunity for positive change and fulfillment around the home front comes your way. Make the most of it, as it will help you to defend your position; hold that position firmly, and in three months time, in October, you will see your changes coming to pass. Scorpio, it would appear as though the Universe wants to shower you with blessings in July; you may not be in full realization until after October 8, but do pay attention. Special things are happening for you, and while your step may actually be a little lighter as a result, your continued efforts and loyalty to your work at hand can produce some excellent results. Remain down-to-earth and practical in all matters, especially around the home; expect at least one door to open for you in July; this is a complete breakthrough for you, allowing you to take back your power. What an exciting month, even if it is chock full of hard work! Some days it feels as though the party is over, Sagittarius; your fun-loving, carefree spirit does not feel so free anymore. Saturn does not leave your sign until December 20, 2017, and with whatever lessons the taskmaster chooses to teach you, there will be some hard times attached. However, do not give up the fight; maintain your faith and your optimistic view of the world, in spite of any disillusionment. Choose to stay calm rather than do battle as it appears others may wish to take sides against you, thereby amplifying your difficulties. What are you showing off to your friends this month, Capricorn? A new vehicle? Something has you feeling very proud of your success, and others are happy for you as well. 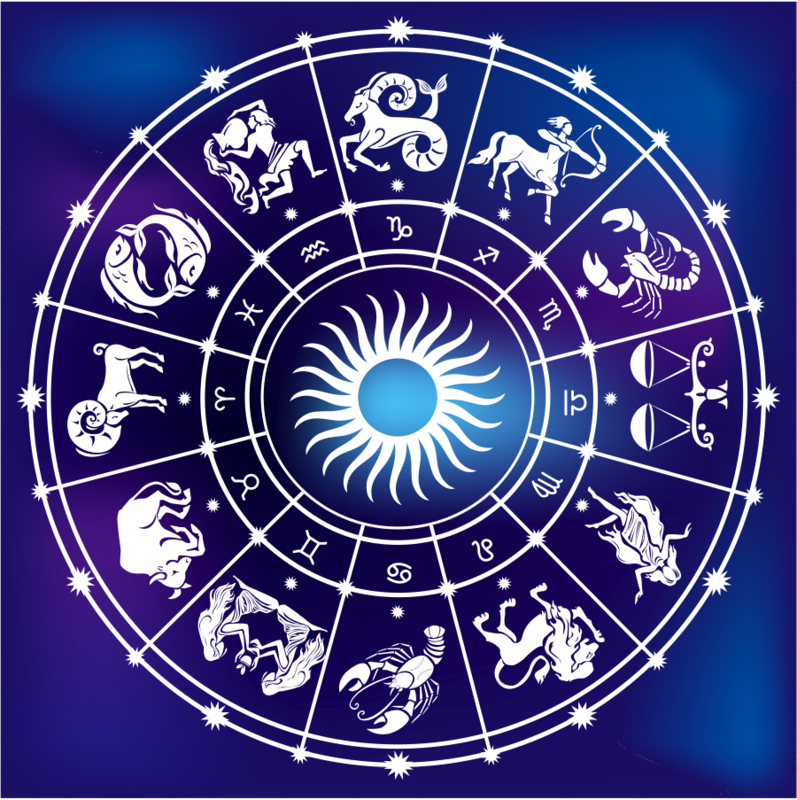 It has taken a tremendous amount of patience to open a certain door, but it brings with it the possibility of financial manifestation to play out over the next couple of months, provided that you choose the proper direction. Do not flaunt the abundance which has come your way, or it can be easy come, easy go. Rather, choose moderation and put your focus toward change and practical matters, such as financial security for the long haul. If you look deep within, Aquarius, you will know that what is blocking your plans for advancement is a particular bond to the past. Listen to your inner voice, but try not to do battle with it. It feels as though there is something from which you must disengage, no matter how painful. You have positive aspects with regard to financial matters, but the struggles with the pain you feel are all too real, and you merely wish for it to stop. As you navigate your way through July, Pisces, you find yourself confronted with options. You may feel as though you are on ‘The Price is Right’, and not quite certain if you wind up with the trip to Europe, or the donkey. You are still working on freeing yourself from stressful situations, and are mindful of the opportunities to manifest better finances. Things are improving and look positive for you, in spite of the not knowing what truly lies ahead. Patience will get you to where you need to be. Remember to always choose with care. This entry was posted in Astro-Tarot, General Tarot, Love and Finance, Readings, YouTube Videos and tagged Aquarius, Aries, Astrology, Cancer, Capricorn, Gemini, Leo, Libra, Posces, Sagittarius, Scorpio, Tarot, Taurus, Virgo.